Inspired by the brawny industrialism of the city, featuring a smooth and seamless contemporary design, the Super Z collection contains pieces which offer a stylish option for those in search of a simple, modern look for their home. 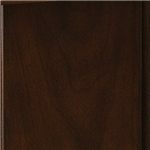 Both the desk and entertainment consoles are constructed from hardwood solids and veneers, shown in a rich, charming cocoa finish, and has arched side beams and cross supports. Modern, bold, and unique, this Super Z collection is steeped in a laid-back modernity styling you can enjoy for years to come. 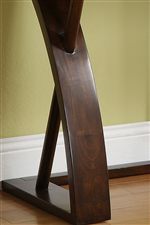 Browse other items in the Super Z collection from Bullard Furniture in the Fayetteville, NC area.